Google developers have significantly updated the system of notifications in Android P. Now you can choose the displayed programs from the top curtain and in addition to seeing running applications in the background. Not without the elimination of unnecessary functions. The upgraded system will not notify you of the increased battery charge. 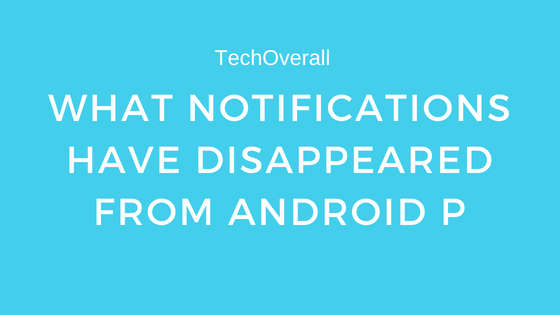 It’s about notifications from Android Oreo. The smartphone prompted which application eats battery supplies more actively than others and suggested something to do with it. In theory, developers wanted to improve autonomy, but users did not appreciate the function. As a result, while listening to music, they were notified that the player was using a charge. There was little sense in this. Google employees understood the miscalculation and removed the feature from Android P. This confirms the screenshot from the presentation, reports Android Authority. The system will no longer bother with obvious messages. Instead, artificial intelligence will determine unpopular applications from the user and save a charge on them.